The Linking Tree programs are designed & customised as per client objectives. We invest time to understand and explain. Each program is thought through keeping in mind factors like the profile of the organisation, profiles of participants, their previous learning experiences, and any other specific input provided. 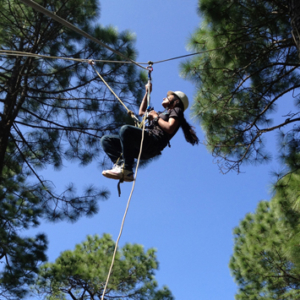 Ranging from 3 – 5 days, Adventure-based programs are conducted in locations in the midst of nature. Our approach is to encourage participants to step out of their comfort zones and stretch themselves. 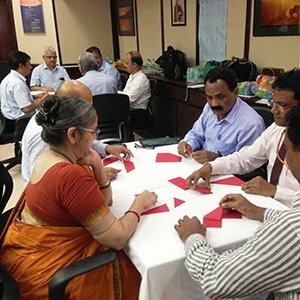 During the course of the program, participants find quality time & space for self- reflection and connecting with others at deeper levels. Adventure activities like rock climbing, rappelling, rope bridge crossing, navigation and trekking are some of the tools we use to derive learning. The activities are conducted by qualified mountaineering instructors using equipment of international standard. 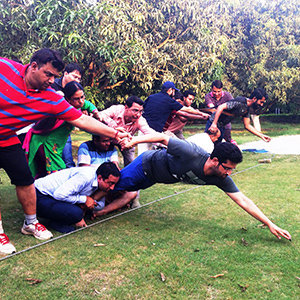 Ranging from 1 – 2 days, Offsite programs are conducted at a resort or location away from the office. These are residential programs where we make use of open lawn spaces along with conference rooms. An appropriate blend of outdoor games & activities, reflection & discussions, videos & presentations are some of the tools we use for these. Ranging from half day sessions to 3 days, Inhouse programs are conducted within conference room spaces. These could either be as per organisation annual calendars or need felt for a focus group. An appropriate blend of simulated exercises, role plays, reflection & discussions, videos & presentations are some of the tools we use for these.